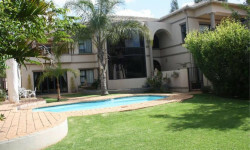 Just Property Midstream is a dynamic company and well know within Midstream Estate. Clients can select an array of services - from rental management to property evaluations, as well as, sales. Operating, with strategic partnerships, from over 200 franchises across South Africa and Namibia, Just Property Midstream have access to world class systems and unparalleled online information. We strive to excel in our core business and exceed our customers’ expectations by committing to shared corporate values and achieving the highest levels of customer satisfaction, with a strong emphasis on the creation of value. 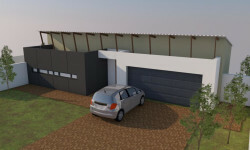 The whole concept of Midstream Estate is centered on security as its top priority. Surrounded by a double security wall, electrified palisade and razor wire with a electrified brick wall which is patrolled by guards hours a day. All entrance gates has biometric fingerprint readers. A helicopter patrol the terrain on regular basis and Retire units has panic buttons installed. Shop 12, Shopping on Ridgeway, Ridgeway Avenue, Midstream, Gauteng, 1692.